More than 50% of entrepreneurs, coaches, and freelancers are interested in creating an online course. Of those, only 14.6% have actually finished creating one or more courses. Over the past few weeks, we’ve walked you through how to get yourself into that 15 percent — we started with getting your idea out of your head and into the world, and also tackled one of the biggest challenges you face as you get there. 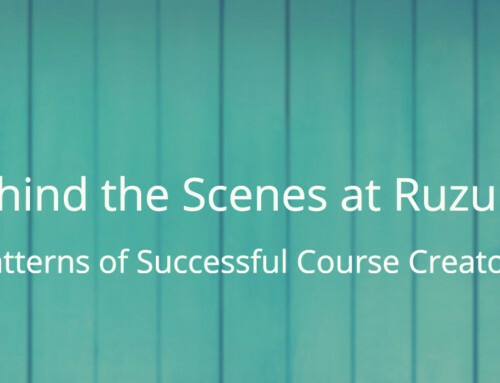 And as a real-world example, we wanted to highlight a fantastic Ruzuku instructor who just recently brought her first online course to life. Andrea Mielke Schroer runs Mielke’s Fiber Arts with her sister Amy. The company was founded as a family business in 1997, and provides supplies and tools for fiber artists, as well as instruction in the various textile arts. Andrea was one of our 30 Day Course Creation Challenge students in the fall of 2015, ran a pilot of her first course just before Christmas, and launched the first full version of her course about spindle spinning this spring. We sat down with Andrea to hear her story, and to see what lessons we could learn from her experiences moving from teaching in person classes to a full launch of her first online course. Ruzuku: What was your motivation for getting started with teaching online courses? Andrea: Ten years ago, I was single and would travel all over the nation to teach. I was on the road almost half the year for various events — fiber festivals, conferences, schools, guild presentations, and so on. After I got married and had children, this schedule was no longer sustainable. For a number of years, I had been mulling over the idea of teaching online, so I could reach my students without traveling. I also hoped it would allow me to connect with potential students who also were not able to travel to the events where I normally taught. R: What desired outcome or goal did you set for your courses? A: At this point, my desired outcome is simply to get comfortable with the process. I had little mental goals with my pilot and first launch (let’s get to 6 participants!) that I was able to reach and eventually pass. Long-term, I would like add more courses so current students have something to come back for. I would like to run at least one class each quarter. I am currently in the process of refining my first class after its official launch, and brainstorming for my second. Where do you get your ideas for course topics? So far, I am taking ideas for my online course topics from classes and topics I have taught in person. What’s the biggest challenge you faced as you were getting from “course idea” to “finished course”? How did you overcome that challenge and/or what did you learn from it? My biggest challenge was fear. Would this be good enough? Would this topic interest a lot of people? Was I organizing it in the best possible way? The encouragement from the 30-Day Challenge was enormously helpful in getting me to perform one small, achievable task at a time, and build on that. I launched the pilot before I felt 100% “ready” and got useful feedback. I also used SurveyMonkey to collect info from participants after the first official launch, and will use that info to further tweak the course. The biggest hurdle for me was to hold the fears at bay and just work on the course. 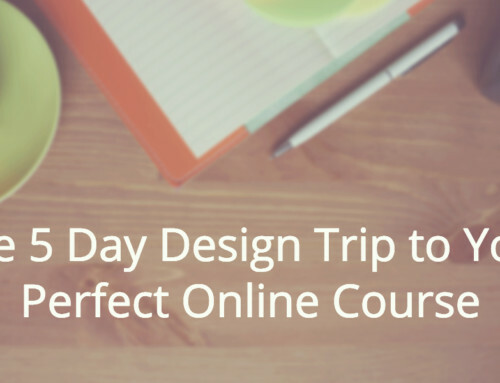 How has the process of running online courses impacted your overall business? Do you have any processes in place for building relationships and connecting with your students? I have a regular schedule of social media posting and interaction. I write a bi-weekly e-newsletter that is offered to everyone that visits our website. I plan to continue to post short videos on pertinent topics to YouTube. My sister (business partner) and I are working on polishing and improving our blog. I feel that connecting with my audience is still a work in progress, too. I’m eyeing up a couple more social media platforms/options I haven’t tapped into yet that have more potential to build a specific community. I just need to find how to best use them while keeping it sustainable for me. 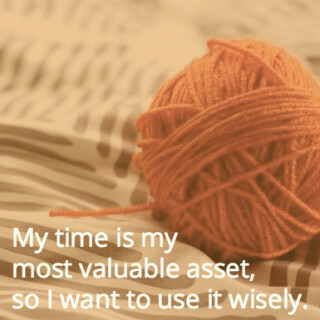 My time is my most valuable asset, so I want to use it wisely. For anyone in our audience who is just getting started, what are your your top tips and/or takeaways for getting an online course business off the ground? 1. Keep it simple. For example, what is the goal of the course or lesson? Get the student from point A to point B (that goal), as simply as possible. The less fluff and distraction, the easier it will be for the student to accomplish this. Don’t get too wordy or long-winded. If you have a ton to say or write on that point, maybe it really is two points — and maybe it needs to be broken up into smaller chunks, such as *two* lessons, instead of one. 2. Schedule. Write blocks of time to work on your course on your calendar, and stick to it. This is your business, so treat it like any other job. Show up on time and work until quitting time. For me, this is not 9-5 as I have other business tasks to do as well. But I may block in Tuesday, Wednesday, and Thursday for working on my course from 1-3pm. Then do it — no excuses. 3. 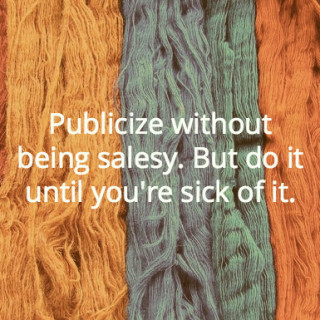 Publicize without being salesy. But do it until you’re sick of it. I was really shocked to see that half of my participants waited until the last day to register! If I had given up on publicizing a week before the course started because enrollment was lower than I expected, I probably would have missed out on half of my students. I posted every three days on Facebook, Google+, Twitter, and Instagram. I changed up the images and text so if the same person ran across my posts, they would see new info about the course. Each platform had its own schedule. So I wasn’t necessarily posting on Twitter the same day or time as Facebook. Also, my course posts were interspersed with posts about other topics – sharing useful info from other sources, or just non-sales topics, such as fun photos, trivia, links to past blog posts or YouTube videos (i.e. free info). I also mentioned the course more than once in my twice-a-month newsletter, and sent out emails specifically about the course twice. And I blogged about the course. By the end, I was really sick of talking about it. But I kept it conversational, and just pointed out how the course would help them, and gave examples of who would benefit from the course. Where can you find Andrea online? Subscribing to Andrea’s newsletter is one of the best ways to get to know her and find out more about the really cool things she’s doing. And if you happen to be a fiber enthusiast, you should check out her current Ruzuku course, Better, Happier Spindle Spinning. 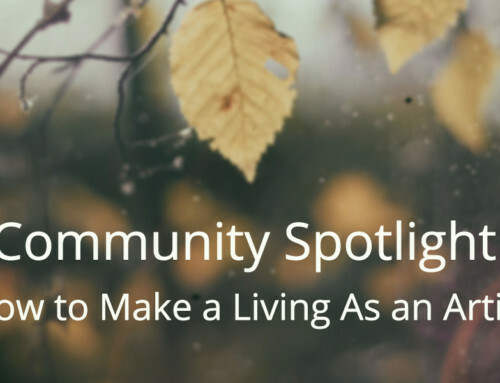 Wrapping up our spotlight — what’s next? The team at Ruzuku understands the challenges facing anyone working toward being in that 15% of course creators who make it to the finish line. It takes hard work, and it can be downright scary. That’s one of the reasons we love sharing stories like Andrea’s with you. So how about it? What steps can you take this coming month to move your course idea out of your head and into the world? Remember, one small achievable task at a time! What are your takeaways from Andrea’s course creation journey? Let us know in the comments!